These shaped brushes are typically a staple set construction. 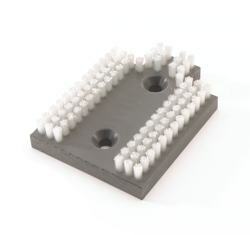 The brush block can be made from wood, plastic or metal and the choices for brush fillings and filament length are almost endless. 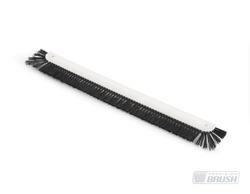 These brushes can be designed for hand held use or use in highly automated machinery. Examples include hand held scrub brushes as well as brushes that are used for covering surfaces when moving heavy products, polishing, static control and surface preparation. The applications are almost limitless.